Spirited and full of energy, Aisha was always up to the challenge as a Power Ranger. 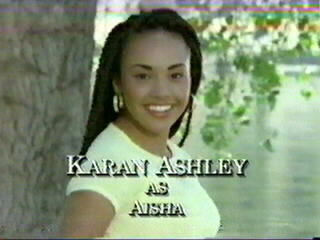 She met the Power Rangers on a trip to Angel Grove, where she competed in the Ninja Competition along with Rocky and Adam. Aisha and her friends assisted the Rangers in the rescue of a baby in danger. She continued assisting the Rangers when they needed it, proving herself a formidable replacement for Trini as the Yellow Ranger. Trini left Aisha her powers by transferring them to her with the Sword of Light. 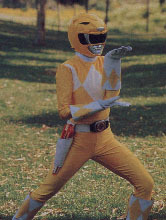 Yellow Ranger's power weapons are the Power Daggers, powerful blades used for defense and for throwing. Her weapons combined with the others to form the Power Blaster. 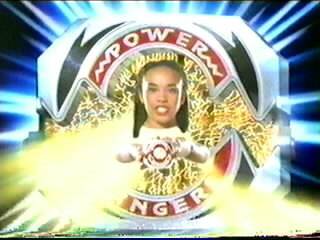 As Yellow Ranger, Aisha gained enhanced strength, speed, durability, and limited energy projection. 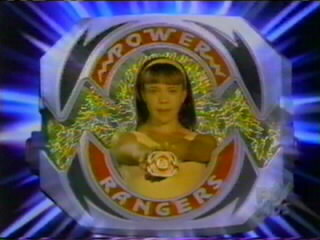 Her Yellow Ranger powers were lost when Master Vile turned the team into children, and Goldar destroyed the Power Coins. 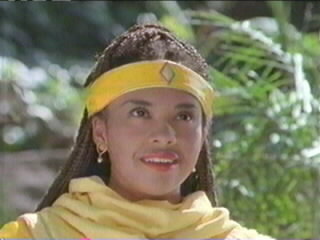 Upon retrieving the Yellow Zeo Crystal, she sent Tanya back to the team in her place, and stayed in Africa to help the animals. When Rita Repulsa's brother, Rito Revolto, came to Earth, he succeeded in destroying the Thunderzords and the Rangers' powers. The six teens had to travel to the Temple of Power, where the legendary warrior Ninjor gave them all the power of Ninja. Using this power, they could all transform into the Ninja Rangers, then morph into Power Rangers and take command of the Ninja Zords. The Yellow Ninja Ranger has heightened strength, speed, and durability. She also has the powers of ground swimming, line of sight teleportation, phasing, multiplication, energy projection, hypnotic persuasion, and many other "ninja magic" powers. Presumably, all Ninja Rangers have the same powers, although not each one has demonstrated all of them. Aisha obtained hers from Africa, but instead of returning to the Rangers with it, she sent a young girl named Tanya in her place. Aisha remained to help the dying animals of the land.